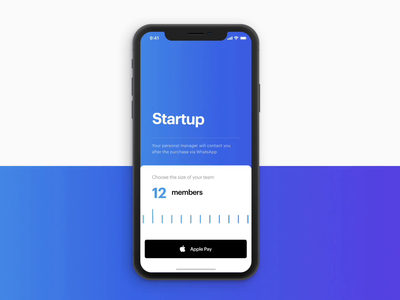 iOS Slider Interaction — It's been a while, huh? 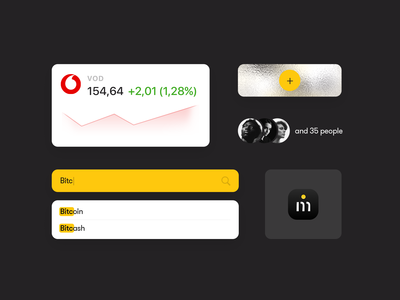 I glad to share my recent work on interaction design of an app. Don't forget to check full-pixel screen in attachments. If you need neat and top-notch design — just text me. Have a good one! Actscope — Actscope is an easy way to transform your iPhone, Android, Mac or PC to high-end video surveillance device. 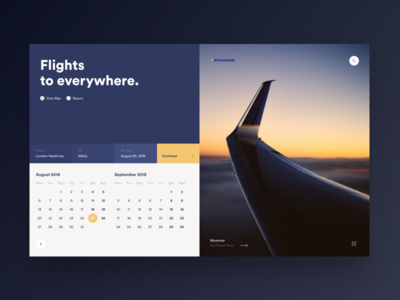 I'd like to know what do you think about this concept for hero section of the landing page. Also feel free to discuss other details. By the way, don't forget to check full-pixel screen in attachments. If you need neat and top-notch design — just text me. Have a good one! 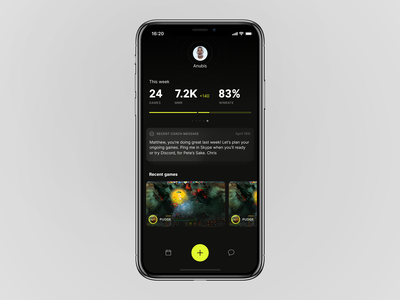 Dota 2 Wiki — Howdy, I decided to continue the 🎮 gaming theme in my profile and am glad to present you one of the animated screens for Dota 2 Wiki application (iPhone X). Don't forget to check full-pixel screen in attachments. If you need catch-eye application or website — just text me, I bet we'll make some great things together. Cheers. Rocketbank (3D) — Just made a piece of the 3D animated scene for the bank I used on daily basis. Hit that like button and let the rocket launch! 🚀 If you need top-notch design from branding, 3D and motion to interactive and UX/UI design — just text me, I bet we'll make some great things together. Cheers. Notification Icon — I continue to study 3D this year and today I'd like to share with you this wonderful bell-guy 🔔 His work is dangerous and difficult — every day he has to deliver a bunch of notifications to us :) Show him your respect, everybody! iPhone 3D Modal — I just touched 3D in Cinema 4D and strongly recommend it to every designer to boost level of your visual design! 💪 What do you think about 3D in mobile applications? Don't forget to check full-pixel screens in attachments. If you need catch-eye application or website — just text me, I bet we'll make some great things together. Cheers. 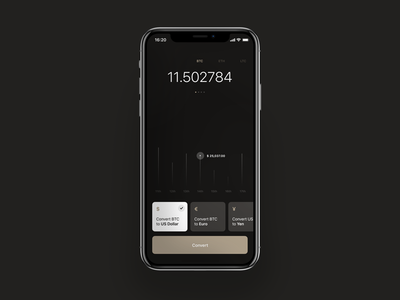 Crypto Converter — Monday is a hard work day (as usual), so today I just provide a piece of ongoing project I've working on. Crypto Converter you always dreamed about 🤑 Make sure to check out the attachments to see the full size screen. If you need catch-eye application or website — just text me, I bet we'll make some great things together. Have a good one! 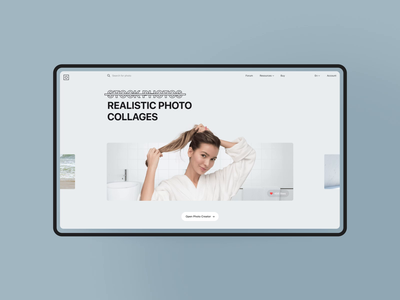 Roadtrip Stories — I've been inspired by an amazing work from @Zhenya Rynzhuk and made this concept of online magazine about roadtrip stories 🚗 What do you think about this type of animation and layout? Let me know! Make sure to check out the attachments to see the full size screens. If you need catch-eye application or website — just text me, I bet we'll make some great things together. Have a good day! SpaceX Dragon — Did you ever dream about space? I’ll bet that you dreamed about space when you was a kid though. Anyways, glad to introduce my recent concept for SpaceX 🚀 I hope that you'll dream again after that. Enjoy and don't forget to check full-pixel screens in attachments. If you need catch-eye application or website — just text me, I bet we'll make some great things together. Cheers. eSports Digital Agency — Hey there, I'm glad to introduce a concept of the website for digital agency focused on eSports. Don't forget to check full-pixel screens in attachments. If you need catch-eye application or website — just text me, I bet we'll make some great things together. Cheers. 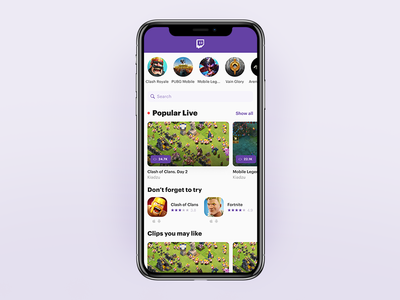 Esports iOS App — Hey there, Hope everybody is doing well. I'm glad to share with you my concept of an esports application. Who doesn't love video games, especially after the busy week? :) Don't forget to check full-pixel screens in attachments. If you need catch-eye application or website — just text me, I bet we'll make some great things together. Cheers. Knock. iOS Micro Interactions — Howdy! 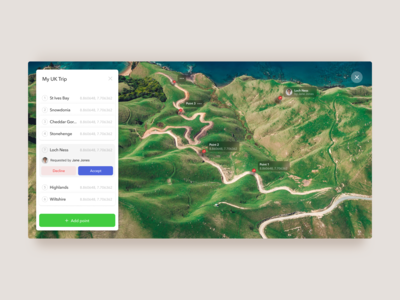 Glad to introduce you onboarding screen for ongoing project I've working on. 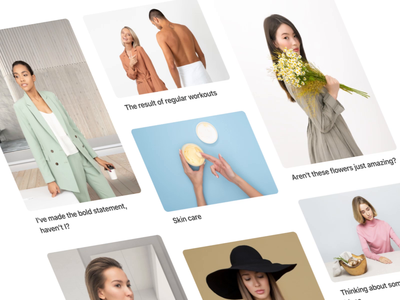 Clean and simple design, clean and simple interactions. Minimalism as is :) Don't forget to check full size for more effect and press L if you like it. Cheers.